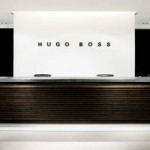 Hugo Boss – Kitmeout Designer Clothes – Fashion Blog & Fashion Forum. The German fashion firm Hugo Boss has apologised for its maltreatment of forced workers during World War II when it supplied the Nazis with uniforms. “It is clear that Hugo F Boss did not only join the party because it led to contracts for uniform production, but also because he was a follower of National Socialism,” wrote the author, Roman Koester, an economic historian at the Bundeswehr (English: German army) University in Munich. Mr Koester notes that Boss tried to improve conditions in 1944, a year before the war ended, by asking to house his workers himself, and attempting to improve their food situation. “We can only repeat that the behaviour towards the forced labourers was at times harsh and involved coercion, but that concern for their welfare was also displayed, rendering simplistic characterisations impossible,” he writes. The company said on its website it wished to “express its profound regret to those who suffered harm or hardship at the factory run by Hugo Ferdinand Boss under National Socialist rule”. After the war Boss was tried and fined for his involvement in Nazi structures. 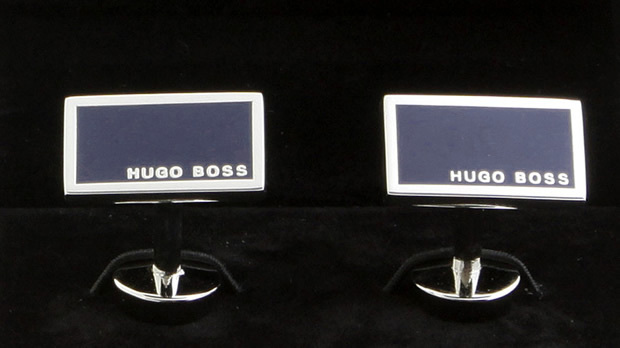 Hugo Boss probably make the best cufflinks out of all the leading fashion brands. 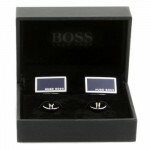 These Hugo Boss navy blue logo cufflinks are worth a butchers. 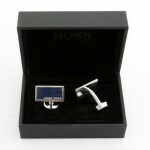 Hugo Boss camilo rectangular, navy blue and silver cufflinks. Navy blue with silver embossed signature logo. 95% brass 5% enamel. 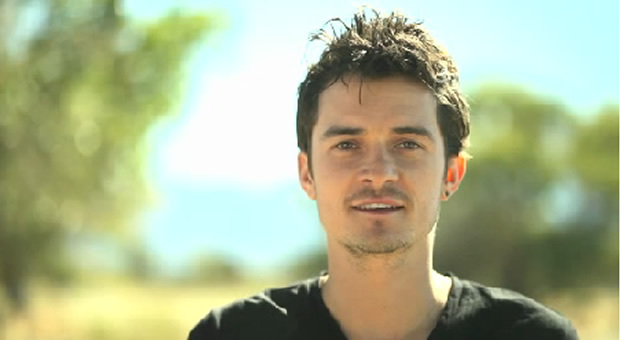 Boss Orange has revealed a campaign featuring its brand ambassadors Sienna Miller and Orlando Bloom, to promote a charity their support of Unicef to aid the development of schools in Madagascar. 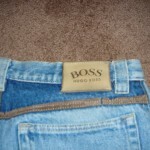 Hugo Boss founded his first clothing factory in Germany in 1923. 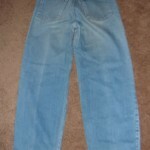 He initially manufactured workwear. In 1953 in produced his first suits. 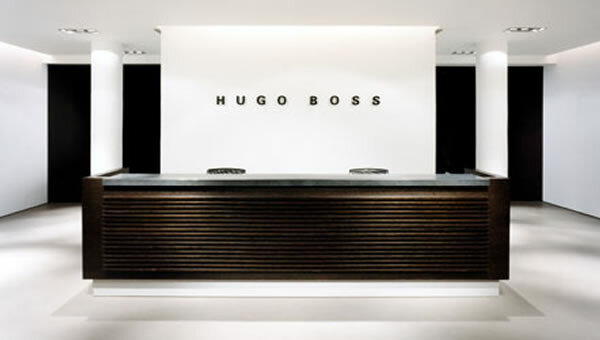 Today Hugo Boss is known worldwide as a top end fashion designer. 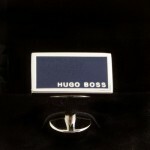 Hugo Boss is known to have founded a clothing factory in Germany in 1923. Though initially worker’s clothes were made, in 1953, after 30 years, the first men’s suits were created. Hugo Boss became famous for high-end men’s suits and enjoyed popularity in the 1980’s when stars such as Don Johnson and Jan-Michael Philip wore their suits. 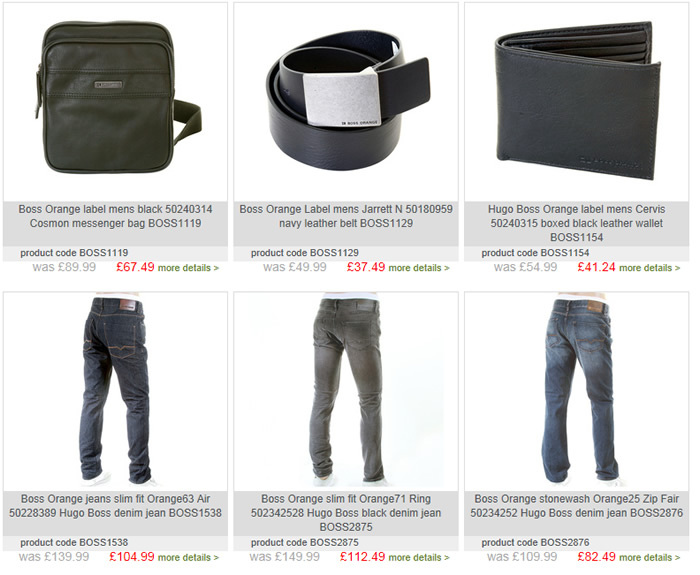 Today Hugo Boss is widely consider an innovator and brand leader in men’s fashion. TAILORED LINE represents the pinnacle of the successful premium menswear line BOSS Selection. Building on the rich sartorial heritage of HUGO BOSS, the collection takes superlative tailoring to a new, transcendent level. Contemporary design is paired with time-honored workmanship and personal service to create an inimitably modern form of luxury – made in Germany. The finest fabrics and handcrafted details cater to the connoisseur – who will instantly appreciate the unique wearing experience and the natural elegance of full-canvas finishing. 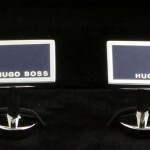 Concerning talk on Kitmeout about the different Hugo Boss Labels, the following are the official HUGO BOSS Brand Profiles. 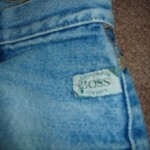 HUGO BOSS is represented in the fashion market by the BOSS and HUGO brands. 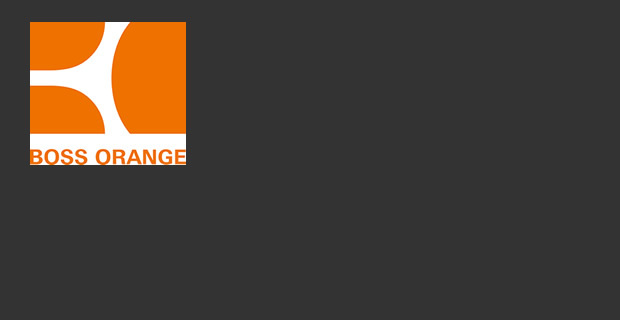 These brand collections and their fashion lines are aimed at various target groups, creating a brand world of extraordinary fashion diversity at a constantly high level of quality.The BOSS Black, BOSS Selection, BOSS Orange and BOSS Green lines as well as the accompanying accessory collections are all part of the core BOSS brand. 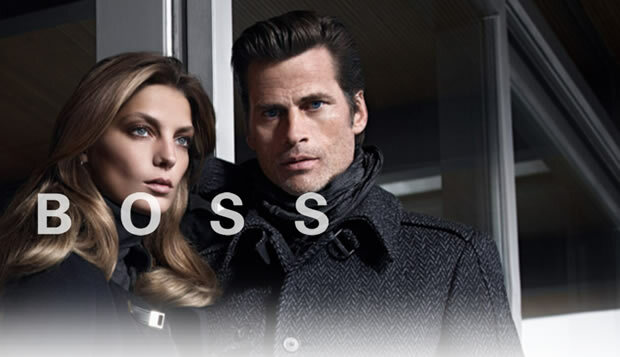 The womens- and menswear collections in the BOSS Black line offer versatile fashion ranges with a rich array of elegant â€œmodern classicsâ€ in business-, leisure- and formalwear: perfect looks that satisfy the most demanding tastes and accentuate the wearerâ€™s personality. 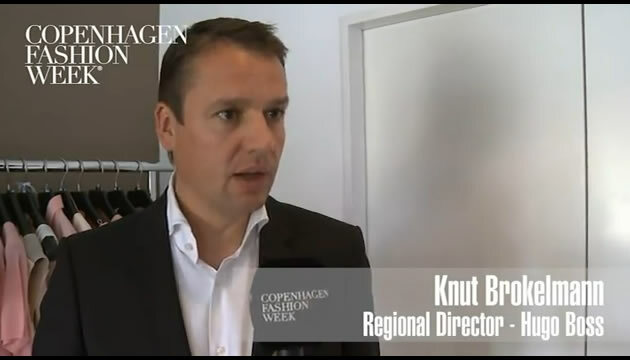 Since mid-2007 the Belgian designer Bruno Pieters has been the Art Director for HUGO, the avant-garde line from HUGO BOSS. 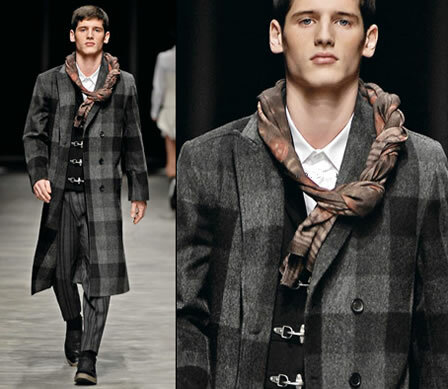 Pieters’ first collection will be presented in January 2008 and available in stores worldwide from July onwards.